Received in 1941 from the Art Gallery of Armenia, Yerevan. The painter was born in Tifiis into a family of artists and died in Teheran, Iran. 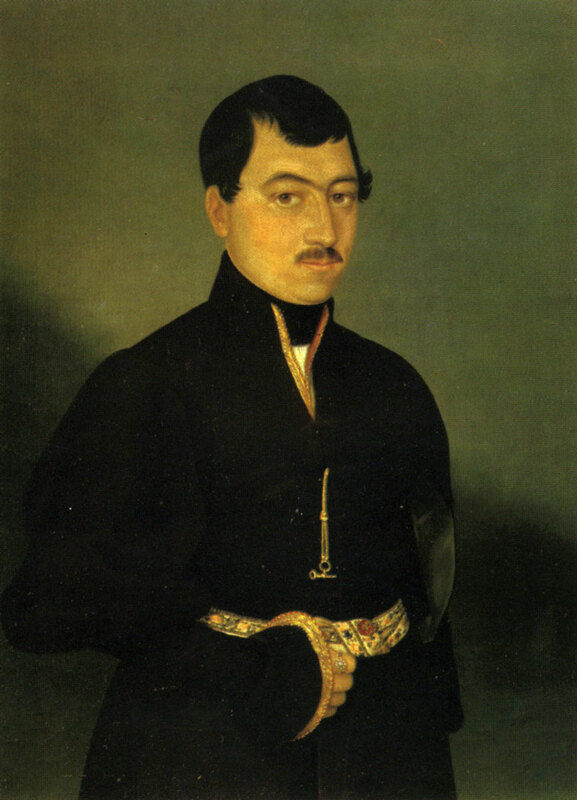 He took lessons of painting from his father, Mkrtum Hovnatanian. He lived in Tifiis until 1881 and painted mainly portraits. In the portrait reproduced here the schematic decorativeness of Hovnatanian's earlier works has already given way to psychological realism. Received in 1946 from the Art Gallery of Armenia, Yerevan. Nersesian was born in Yerevan and died in Tifiis. He studied at the Armenian Ecclesiastical Academy in Echmiadzin and was one of the first Armenian painters educated at the St. Petersburg Academy of Arts. His work, mainly confined to portraiture, exerted a great influence upon the development of Armenian realistic painting. This female portrait is one of the artist's masterpieces. Like all other works by Nersesian, this canvas is characterized by an austerity of manner and its fidelity to life. Received in 1970 from the Board of Art Exhibitions and Panoramas attached to the USSR Ministry of Culture, Moscow. An Honoured Artist of Armenia, Avetisian was born in the village of Jajur, Armenia, and studied at the Terlemezian Art School in Yerevan (1947-52), at the Theatre and Art Institute in Yerevan (1952-54) and at the Repin Institute of Painting, Sculpture and Architecture in Leningrad (1954-60). He lived and worked in Yerevan. Minas Avetisian was one of the most interesting Armenian artists of the middle generation. His premature death put an end to a fruitful creative career which covered all genres of painting. His artistic idiom possessed real depth, intensity and uncompromising fidelity to life. It is inseparable from Armenia and traditions of its national culture. The artist's best works are full of lyrical charm and profound wisdom. Received in 1968 from the Board of Art Exhibitions and Panoramas attached to the USSR Ministry of Culture, Moscow. 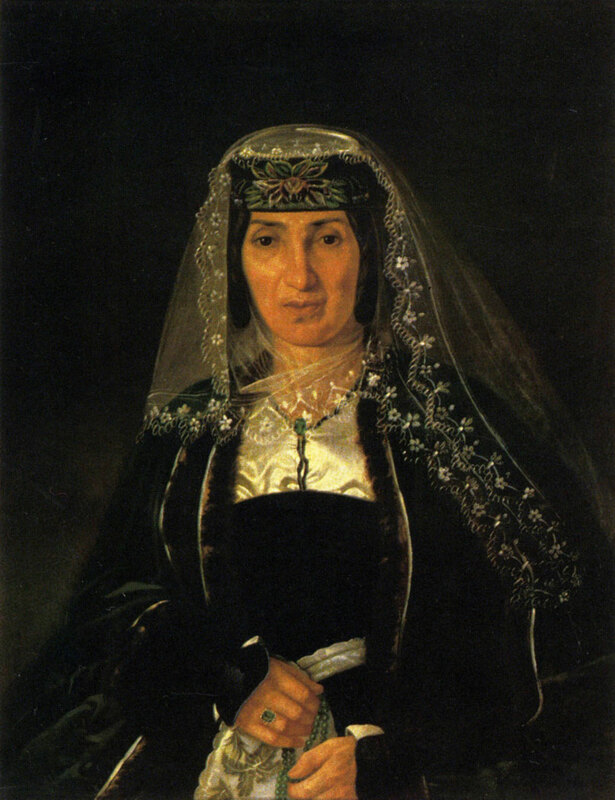 An Honoured Artist of Georgia, Bazhbeuk-Melikian was born, lived and worked in Tiflis (now Tbilisi). He studied at the School of Painting and Sculpture of the Tiflis Society for Encouragement of Fine Arts (1904-10), at Vasily Meshkov's studio in Moscow (1910-11) and at the St. Petersburg Academy of Arts (1911 -13). He later taught at the Toidze Art Studio in Tiflis (1922-29) and was active mainly as a portraitist and a genre painter. An artist with a poetic touch to his talent and an exquisite sense of colour, Bazhbeuk-Melikian produced a great number of intimate paintings permeated with lyri­cism and charm. The Bather is one of the best works of the artist's early period. Acquired in 1939 from the Armenian Painting Exhibition, Moscow. A People's Artist of the USSR, Lenin and State Prize Winner, Saryan was born in Nakhichevan-on-Don and attended the School of Painting, Sculpture and Architecture in Moscow (1897-1903) under Valentin Serov and Konstantin Korovin. From 1922 he lived and worked in Yerevan. Martiros Saryan is a celebrated master of painting, well known outside the Soviet Union. He is one of the founders of Soviet painting. It is hard to overestimate Saryan's contribution to the treasury of Soviet art as a whole, but his role in the development of contemporary Armenian painting was, perhaps, even more significant. Landscape was one of Saryan's favourite genres. Southern Winter is the only winter scene among his pictures. It is characterized by a subtle lyricism and an unusual colour range. Acquired in 1937 from the artist. Saryan was a painter of a vast artistic scope. He was active in all genres of painting, including book illustration. His artistic legacy is immense. The Seif-portrait here is one of the most interesting examples of portrait painting of the 1930s; it manifests a new treatment of the traditions of classical Russian painting. It also serves as a typical example of the artist's pictorial manner of the 1930s with its emphasis on the psychology of the model. Received in 1969 from the Board of Art Exhibitions and Panoramas attached to the USSR Ministry of Culture, Moscow. Hakopian was born in Alexandria and studied at the Cairo Academy of Arts (1943-47) and at the Grande Chaumiere school in Paris (1952-54). Since 1962 he has been living in Yerevan, Armenia. Hakopian concentrates mainly on landscape and still-life painting. His canvases reveal the artist's deep insight into the world of nature, as well as his gift for achieving a great expressive power and his high professional culture. All these qualities are clearly manifested in the landscape reproduced here.